Is Bad Tech Costing Your Company? Last week, a group of hackers were all over the web for taking Forbes staff reporter, Andy Greenberg, on a joy ride in a Ford Escape and Toyota Prius (check out the video below). The purpose of this joy ride: To highlight the security vulnerabilities found in many of the most common cars. And the more that are connected, the more this will become a critical issue. An issue that has been mostly ignored by the auto industry. Last year, Vanity Fair highlighted what they called “Microsoft’s Lost Decade.” While Apple, Google, and Facebook were generating excitement in media, social networking, search, music, etc., Microsoft had “fallen flat in every arena it entered.” But, some in the industry pointed out one of the biggest things Microsoft got right during this time: Security. 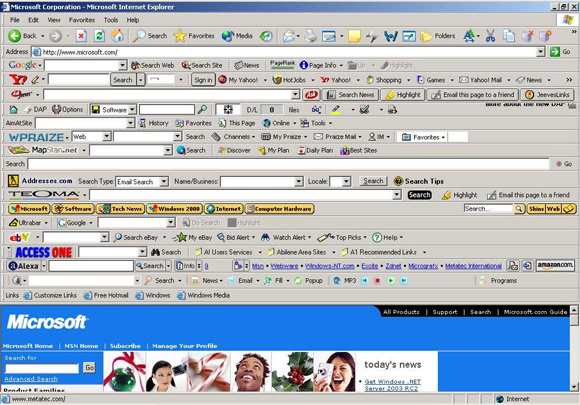 For those of us in the industry for any time, we remember the days of dozens of spyware/adware infested toolbars in Internet Explorer 6. We remember Slammer and Blaster and Code Red. All of which were preventable if there was a concerted effort by Microsoft towards real security. Microsoft, the immovable behemoth, responded: regular patch cycles, full disclosure, advanced notification networks with partners, partnerships with the white-hat community, and more. The bad press was enough of a concern to the bottom line, Microsoft had to act. And they did by putting a substantial investment towards security their platforms and applications. The auto industry has yet to receive the same treatment. But it is coming. And it will be interesting to see how the whole industry responds. Their industry doesn’t have a single entity with 90% market share like in Microsoft’s case. Also, in this case, human lives are actually at risk. This is going to take a serious industry effort. Security requires a balance between usability and safety. It requires businesses and stakeholders working together to find the proper balance and ensure systems are in place to keep data, property, and in this case, lives, safe. Talk to your ISOutsource team today about how we (can) help you minimize the risk of vulnerabilities to your business. Or give us a call to find out about our Business Technology Assessment Plans to assess the risk to your business.